The student experience is core to what we do aiming to provide a personalized learning experience for our students. Our staff are friendly and take pride in supporting students throughout their academic journey from guiding applicants to graduation and alumni activities. Courses are delivered by our inspiring team of international teaching faculty, most of whom have PhDs and wide teaching experience in their fields of expertise. Our learning environment is engaging and interactive and aims at challenging your thinking and build your confidence for all your future endeavours. Although you will study in Finland, you will earn your degree (Bachelor of Arts (Hons) in Business and Management) from the University of Northampton (UoN), a well-known university in England with roots dating to the 13th century. UoN takes pride in having achieved a 95 % employability rate of its graduates for the last five years and was awarded a Gold standard for the Teaching Excellent Framework in the UK. All studies are delivered and assessed in English, which will provide you with a solid foundation for a career in international business. The study programme is very intense, but you will also be able to see regular progress in your studies. The entire Bachelor’s will take six terms to complete. As there are three terms per academic year, it will take just two calendar years to complete the three-year studies in the full-time programme. This is remarkably fast compared to the programming speed of comparable programmes. Normally, state universities offer no qualification after two years of study. At HELBUS, you will earn your first internationally recognized diploma already after two years of studies (Higher National Diploma), before continuing to your third year. 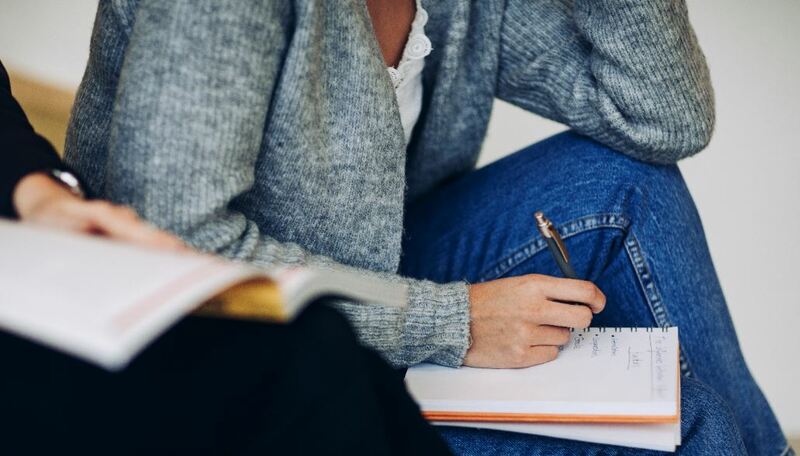 You can complete the first two years either in the full-time mode with classes five days a week, or fully online, with virtual evening classes and a longer completion cycle. The online programme offers more flexibility for students who wish to work alongside their studies. The third year is currently offered in the full-time delivery mode with classes scheduled for the mornings. With the BA (Hons) in Business and Management, you can apply for Master’s programmes continuing at HELBUS or anywhere in the world, or start your career in international business. The curriculum at HELBUS has been designed to provide you with the skills and knowledge to be able to succeed in international business. In years one and two, you will develop a strong foundation in diverse areas of business and management, such as marketing, finance, entrepreneurship, human resource management and organisational behaviour, and learn how these are integrated within the wider the business environment. In your third year, you will expand on these competencies and deepen your theoretical and practice knowledge in the core fields, while simultaneously advancing your individual and group skills. In the first two years, you will earn 240 UK credits (equivalent to 120 ECTS) – over 15 modules. In the third year, you will study an additional six modules worth 120 UK credits. Overall, the BA (Hons) degree will consist of 360 UK credits (equivalent 180 ECTS credits). Would you like to earn your degree quickly and get a head start in building your international network? Do you have the time and motivation to dedicate yourself to attending class daily? The first two years of the full-time programme are delivered in intensive consecutive units, each lasting for just three weeks. You will have the chance to establish close relationships with each of your international instructors, as typically they visit Finland from their home universities and countries for the specific purpose of delivering their HELBUS unit. Experience has shown that the risk of dropping out is reduced significantly in this intensive modular learning methodology as compared to more traditional methods, and your academic progress will be tangible from the first weeks of study. Classes are held in Helsinki five days a week between 10 a.m. and 2 p.m. In the full-time delivery option, each course unit takes three weeks to complete and classes are held five days a week between 10 a.m. and 2 p.m. in Helsinki. Third-year modules are delivered across two terms from January to June on campus. If you are completing your matriculation or IB exam in the spring, you can still submit an application and receive a conditional admission offer. The offer will be made unconditional after you receive your final diploma. HELBUS admissions are based on essay questions and interviews gauging your motivation, strengths, and future career aspirations. We look for applicants who can provide balanced and well-thought arguments in their essay questions and demonstrate the level of communication required in higher education studies. Applying is easy. Simply fill in the application form and upload scanned copies of your upper secondary school diplomas and other required documents. You can save your application and return to complete it at any time. Remember to hit “submit” when you have completed everything. The minimum entry requirements for Bachelor’s studies are similar across most applicant groups, but the documentation required varies. The tuition fees for Finnish, other EU/EEA and non-EU students are the same in the undergraduate programmes, although payment schedules differ due to the government policy on student residence permits. Due to having three terms in a calendar year, the second year studies in the full-time programme start already in the Summer term, around April, after the fall and spring term. Non-EU students, who need a student residence permit for the duration of their studies, must pay their first year’s tuition fees before coming to Finland. If a non-EU student has a residence permit for other reasons such as family, they can follow the payment schedule for Finnish students. The tuition fees include a wide range of e-learning resources, but if the student wants their own textbook it will be procured at own cost. All students should have a laptop with MS Office and an internet connection. Tuition fees include the value-added tax (VAT). If the government increases the tax from the current 24 %, the tuition fees will increase respectively. If the VAT is reduced, or abolished fully or partially, there will be no reduction in the tuition fee. Confirmation fee: HELBUS may charge a one-time confirmation fee (300-500€ depending on the programme) before the start of studies to secure your study place. By paying the confirmation fee, you will confirm your acceptance of the study place. The fee will be reimbursed in the first tuition fee payment. If you do not start your studies, the paid confirmation fee will not be reimbursed. Cancellation fee policy: You can cancel your participation to the programme by email before the start of a new term. However, tuition fees that have already been paid will not be returned. Your tuition fee payment will be returned to the payer only if you are not given a residence permit by the Finnish Immigration Service and inform HELBUS about this decision. If the student must retake a unit in the next year, or transfer to the online programme for a given unit, a 200-250 euro retake/transfer fee will be administered per unit. In the third year, the retake and deferral fee is 817 euros per module. Details are found in the written contract signed by the student at the beginning of studies. Unfortunately, we are unable to offer any scholarships. If attending the full-time programme, you should budget at least €1.000 per month for living costs in Helsinki, although this cost will depend on your accommodation and lifestyle. Why does HELBUS have tuition fees? As HELBUS is a private university, it receives no state support. HELBUS funds its operations entirely through tuition fees. The good news is that by studying with HELBUS it is likely that your overall cost for the Bachelor’s degree will be lower than if you studied the three years in the UK! In the UK EU citizens normally pay at least €35.000 for the tuition of three years, whereas in HELBUS your tuition fee for an undergraduate degree will be below €30.000. An academic degree is an investment in yourself and your future. Research in Finland has shown that a university degree will increase Finn’s lifetime net earnings by an average of €312.000 compared to someone who does not have a degree. You will graduate more quickly than your peers in traditional universities, and thereby start recouping your investment earlier. Are you an international student considering spending a term in Finland? Are you a free mover, who would like to study outside an official exchange programme? Congratulations on your choice! A semester abroad will transform your thinking about the globalising world and your role in it. 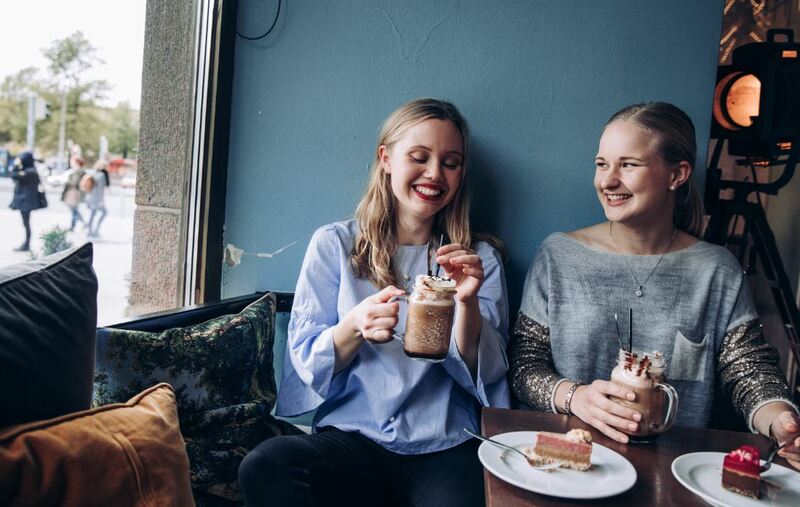 Finland is by many measures one of the most successful countries in the world, and spending a semester here will open your mind to how things are done the Finnish way. The HELBUS Semester Abroad programme for inbound students is flexible in many ways. You can start your studies either as a new term starts or at any other time and include up to four courses in your Semester in Finland programme. Please note that your home institution will decide whether the credits you earn at HELBUS are transferable. Currently, we offer the exchange programme at levels 4 and 5 (first and the second year of studies). These modules are part of the Higher National Diploma in Business (HND) and accredited by Pearson. You will receive a Pearson certificate for the modules you have successfully completed. If you are interested in joining our partner University of Northampton’s final year degree programme, we do consider applications directly to the third year if you have completed two years of undergraduate studies in business, or qualification such as HND. The HELBUS curriculum consists of core business management courses. The course schedule will help you plan your stay in Finland. The first four terms of the HELBUS programme is delivered in intensive modules five days a week. Each module lasts for three weeks. Each module is worth 15 UK credits (equivalent to 7,5 credits ECTS).